Once, on a visit to St. Petersburg, I met a delightful couple who live in Adelaide. Then, on a bus trip from Vancouver to Victoria, B.C., I met a wonderful lady who lives in Perth. I like them. We stay in touch. That was how I ended up in Australia about five years ago. There, I met Judy, who lives in New Zealand. Judy invited me to visit. I had never been to New Zealand. I wanted to go, but was facing knee replacement surgery and deferred. Judy, who had experienced that surgery herself, understood. She came to me instead. Judy cheerfully put up with my not being able to walk much and I enjoyed having her. I promised to visit as soon as I could. Finally, able to walk more, there seemed no better time than the present. So, September 30th found me on a direct Air New Zealand flight from Vancouver, Canada, to Auckland. (About the flight? My major complaint? They served instant coffee in the morning. Yuk!) Judy said she’d fly up to Auckland, spend the night at a hotel and meet me at the airport. “I will be there,” she replied. And, she was! I love trains. Judy knows this and planned the most amazing way for me to see her beautiful country. For my benefit, we played tourist in Auckland for a few days. 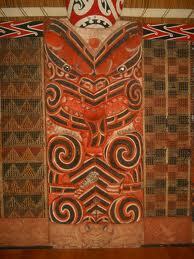 Especially exciting to me was the Auckland Museum’s large exhibit of Maori art and culture. Judy also arranged for us to see a live presentation of Maori traditional music, dance and song, culminating in the famous Haka dance. 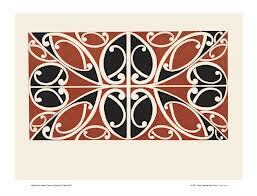 Over all, I found Auckland to be a stimulating, lovely city. I could live there. 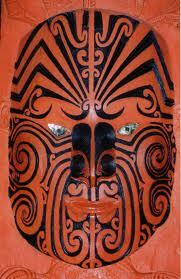 From Auckland, Judy had reserved seats for us via rail down to Wellington, New Zealand’s capital. During the eight-hour trip we were treated to a panorama of the northern island and informative commentary about the history of the areas we passed and the building of the railroad. Lush, green paddocks held sheep, cattle, horse and deer. (Do we raise deer for food in Canada?). The animals had plenty of room to move, eat, grow and thrive. It was spring and their were babies galore out there. Lambs, the size of miniature white poodles, frolicked while delighting and annoying their mothers. I loved every moment of it! 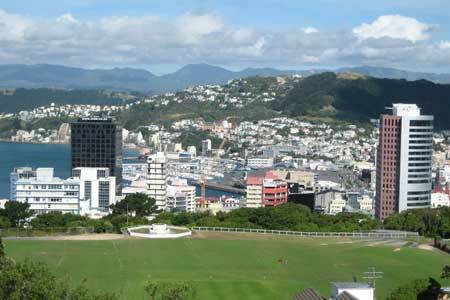 Wellington, the beautiful capital of New Zealand, is graced with lovely-to-look-at hills, but problematic winds. Frightened by the first powerful gust, I found myself hanging on to poor Judy, who ended up holding me up more than once on this trip. At this stage of my life, I would not want to live in Wellington, despite its beauty. The hills would be difficult for me and the winds are too powerful. On tour, we were told Wellington had suffered a bad earthquake and tsunami in 1855, so many structures are still made of wood, which apparently withstands earthquakes better. We saw the childhood home of New Zealand’s most famous writer, Katherine Mansfield. Yes, I read a lot, but didn’t remember anything about her. Judy certainly did. I’ve now checked with my local library. Books about her and by her are available and on my current “to read” list. Next morning, looking for a spot to have breakfast on our way to the National Te Papa Museum, (by the way, free) friendly strangers directed us to a lovely little restaurant. After my favorite meal of the day, we strolled through the various exhibits and, lucky me, got to see a performance by a native group from Niue, a Pacific Island. Since we sat in the very first row, when they pulled people out of the audience to dance with them, I got to dance with a GORGEOUS young Islander. Naturally, I enjoyed that! From Welllington, we took an early morning ferry, called the “Kaitaki” (Challenger) to Picton, on the South Island. The largest ferry in N.Z., it holds up to1,600 passengers. Poor Judy. I’m a nut about being on time, and I dragged her to the Ferry Terminal before it even opened! I hope she has forgiven me by now. Another traveler recommended I try a “kumera” (form of sweet potato) for breakfast. It is not as sweet as our’s, and since I really enjoyed it, Judy spoiled me by fixing them for me several times later in Rangiora. It was a lovely ferry ride, the water can be rough, but it wasn’t bad that day and I was grateful. 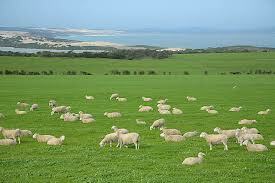 lovely green paddocks and animals enjoying early Spring. Judy’s daughter, Jen, picked us up at the train station and invited us for “tea” (dinner). After handling train grab-bars and luggage, I needed to wash my hands before eating. Jen should patent her design for her home’s main bathroom, which has not one, not two, but four doors. It is brilliant for a family. I walked in, turned the light on, washed my hands, and was only then aware of a shower running behind a closed door within. I turned and saw a light beneath the door where Jen’s son, Ben, was cleaning up after a sports event. A separate door, which also can be locked, leads to the toilet, so it too can be utilized while someone is bathing or washing at the sink. The fourth door is a closet, which I didn’t explore. It holds towels and such. Isn’t that clever? 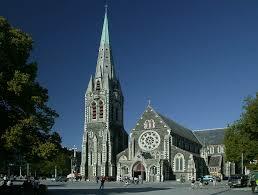 When we, in Canada, heard about the terrible earthquake in Christchurch, they referred only to the city. I didn’t realize how many other towns in the area were affected as well. Rangiora, close to where Judy lives, has also lost treasured, beautiful buildings such as the Thomas Edmonds Band Rotunda, built in 1929, and the Christchurch cathedral, which dates from the mid-19th Century. Many local businesses and restaurants are closed; their only department store is gone, and sidewalks are often blocked off, besides the many roads that require repairing. I wanted to see the damage in Christchurch, so Judy arranged for us to have a tour of the “Red Zone”, an area closed to regular traffic and pedestrians. We had to sign waivers in the event of injury or death as a result. The tour broke my heart. Judy was quiet and pensive — I can only imagine how painful it was for her. Streets that had been familiar to her were unrecognizable. It was difficult…. The stories Judy, herself, told me about it were difficult to listen to. In Los Angeles, I experienced earthquakes, but had never heard the term “liquifaction” before. 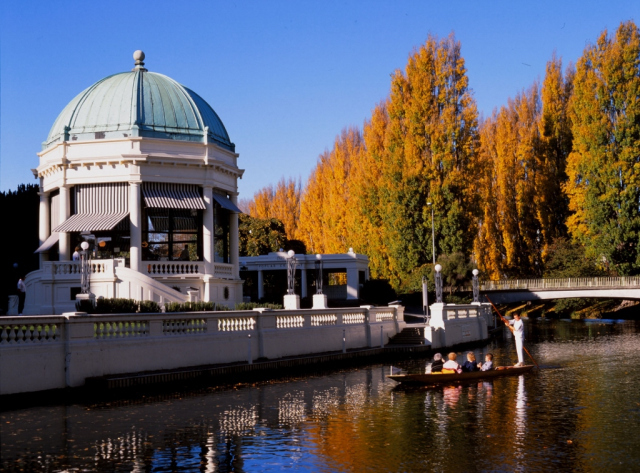 Judy explained that Christchurch is built on a marsh, and wherever the earth opened, mud gushed up and covered large areas creating even more disruption, injury and misery. The city looks like it has been bombed. 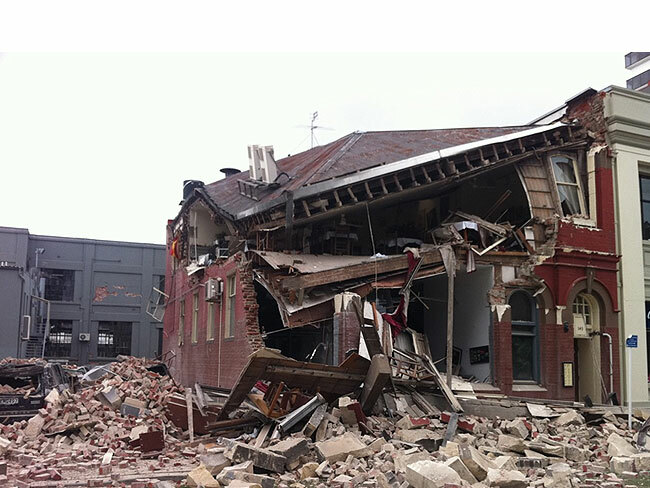 How can one describe the disaster I saw in Christchurch after the earthquake? On the way home, we stopped for a very late lunch at Sequoia 88, a buffet-style restaurant with, yes, 88 food options, located in a Christchurch suburb. After eating much more than I should, I proceeded next door to lose $2 in a one-armed bandit. Do I ever gamble? No! Did I know what I was doing? Of course not! I just needed to do something silly I guess. One morning Judy took me to the Willowbank Wildlife Reserve in Christchurch, where besides other animals and birds I saw a real live Kiwi bird. (I wanted to be able to tell my grandson, who is enthralled by Kiwi birds right now, that I had done so.) A cheeky ostrich, attracted by the metal chain on my purse, managed to grab it through the chain-link fence and a battle ensued. I won! I was particularly taken by the beautiful native fowl. My favorite, the Paradise Shelduck female has a white head and chestnut-coloured body, the male, however, must settle for an ordinary black head, but the ducklings — oh the ducklings, with white and black bodies, are the cutest things I’ve ever seen. Bless Judy, she’d stop along a rural road just for me if she saw some. The bright blue Pukeko (or New Zealand Swamp Hen) with its red beak is so amazingly gorgeous that a few days later, when we visited the Pukeko Junction for lunch and I saw some made by an artist, I had to buy them to take home. One now resides, happily, on my bookcase. Then there is the bird I saw every morning which Judy’s husband thought was a “Pied Eyed Oyster Catcher”. I loved the name and was sorely disappointed when over lunch Judy’s friend Carol said the bird I was talking about was actually a “Plover” A “Plover”? What an ordinary name for such an extraordinary bird! For me, it will always remain a “Pied Eyed Oyster Catcher”. Judy was truly upset when her plans to drive me through the mountains and further south didn’t materialize. It was cold and windy. It snowed in the mountain passes, making the trip a treacherous idea. It was difficult for her to understand how thrilled I was to, instead, be staying with her daughter Jen on the farm. I’m a city girl. I’ve never lived on a farm. I had all the comforts one could want in Jen’s lovely home. Jen and her children welcomed me into the family and cheerfully put up with all my idiosyncracies. I loved waking up in the morning and seeing the cattle in their paddock which Judy’s husband, Alec raises, and seeing the big “Plover” having its breakfast on the lawn outside the window. It was a lovely and different experience for me. And, Judy made sure I could explore nearby spots of interest. We visited an outdoor market in Oxford, where I had the most fabulous fresh morning sweet; drove twice over a nearby gorge; got to see the snow-topped mountains in the distance; shopped in every book store for “Kapai The Kiwi” books by Uncle Anzac for my grandson, Remy. (Judy sent him a couple last Christmas and he loves the stories.) We ate most of our lunches out, tried some N.Z. Savignon Blanc because my son, Rafi, who knows more about wine than I ever will, recommended we do so. Near the end of my stay, after seeing dozens of McDonald’s commercials advertising their lamb burgers, I decided I had to try one, much to Judy’s amusement. We shared one. It wasn’t all that good and we giggled about it. At the airport, it was difficult to say goodby to Judy. When will we see each other again? Who knows? But, I certainly will keep the memory of this New Zealand adventure with her tucked away in my heart for the rest of my life.